With current silver price having increased by an impressive 24% figure in the last year, more and more investors are turning their attention to various silver investing mechanisms like silver ETF’s, silver futures and buying physical silver bullions. Silver ETF is an exchange traded fund for silver stock investing or paper silver rights depending on the type of ETF you are investing into. In layman’s terms, silver ETF is virtually a pool of silver stocks carrying its own ticker symbol or a type or investment that authorizes your ownership of a defined amount of silver. Investing in double silver ETF vs. a single silver stock is believed to diversify your risk and to be a better investment choice. When investing in silver ETF, you are not investing in any tangible silver bullion investment like a silver bullion bar or coin, but rather buying into stocks of various silver corporations that participate in active silver exploration, mining and distribution. 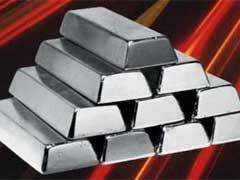 In addition, silver ETF focuses primarily on raw silver assets, so in the end you are purchasing paper silver. Investing in silver ETF requires strong stock analytical skills, if you possess none, you are better off purchasing silver bullion coins or bars to save yourself trouble learning how to analyze and research stocks. For investors who would like to avoid hassle of holding their own silver bullions, silver ETF’s or silver bullion trusts might be good investment choices. However, for investors who would like to put their money into something they can actually hold in their hands, silver ETF might not be the best option. In difficult economic times, investors were always leaning to buy physical silver vs. paper silver. If you interested in learning more about gold ETF, scroll over to check out our other articles on this topic. You can also learn about other precious metals ETF investment on our website. Platinum and palladium market is also worth your attention.